In recognition of the contribution manufacturing makes to today’s society, and to perhaps update public perceptions about modern manufacturing, National Manufacturing Day was proclaimed in October 5, 2014 by President Barack Obama. About 100 Dodge City High School tech students are touring local manufacturing facilities and the Dodge City Community College Tech Center to recognize Manufacturing Day. The event is a cooperative venture between the Dodge City/Ford County Development Corporation, USD 443 Pathways program, Dodge City Community College Workforce Development and several area manufacturers. The City is also recognizing the day with a Proclamation noting the important role manufacturing plays in local communities – promoting development, innovation, and labor stability. Joann Knight, executive director of the Development Corporation said people often think of jobs in manufacturing as being loud, grimy professions. She hopes this event will show students that there are many layers to the industry – right here in Ford County. Students are touring local manufacturers: Rotomix – founded here in Dodge City and one of the world’s top producers of agricultural feed mixers; Broce Manufacturing – one of the country’s leading producers of construction and industrial sweepers; Curtis Machine – a top gearbox innovator with state of the art manufacturing processes and product applications across numerous industries; Kitchens/Ellis James – a custom cabinet and countertop manufacturer and designer of kitchen, laundry, bathroom and office spaces; and Beck Sales – parent company of Trojan Specialty Products, which has assembled livestock watering equipment for nearly 70 years, exporting products around the world. The Development Corporation is conducting a series of events throughout the month to recognize and encourage the industry – including a media blitz profiling manufacturers in Ford County. 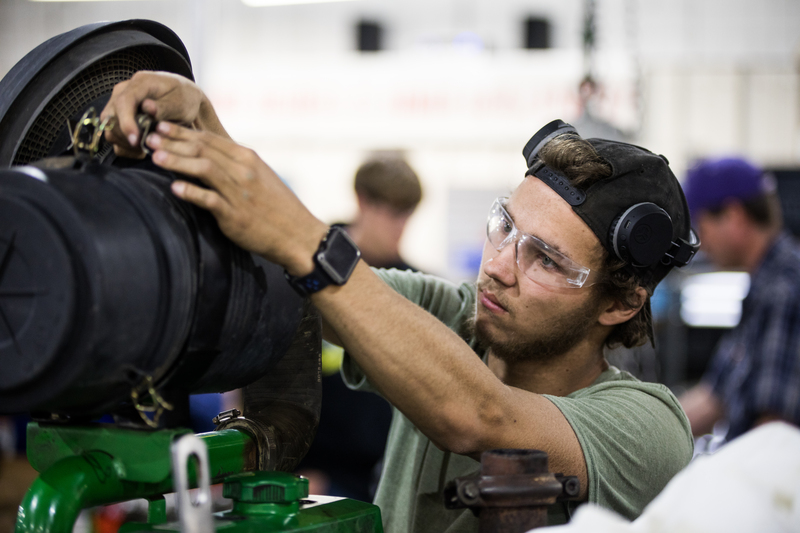 “Manufacturing Day shines a light on the industry in our area and it will expose possible employment opportunities that many people don’t realize are available within manufacturing,” said Ryan Ausmus, dean of Workforce Development at DC3. There are many educational pathways that can lead into the manufacturing sector. Some paths may traverse engineering and physics courses – Rotomix, for example, employs its own team of in-house engineers. Other paths may go through technical and applied science classes. Business management and leadership coursework can lay a path into the front office of manufacturers. A typical plant needs accountants, data processors and office managers in the same way it needs hard-working people in production. 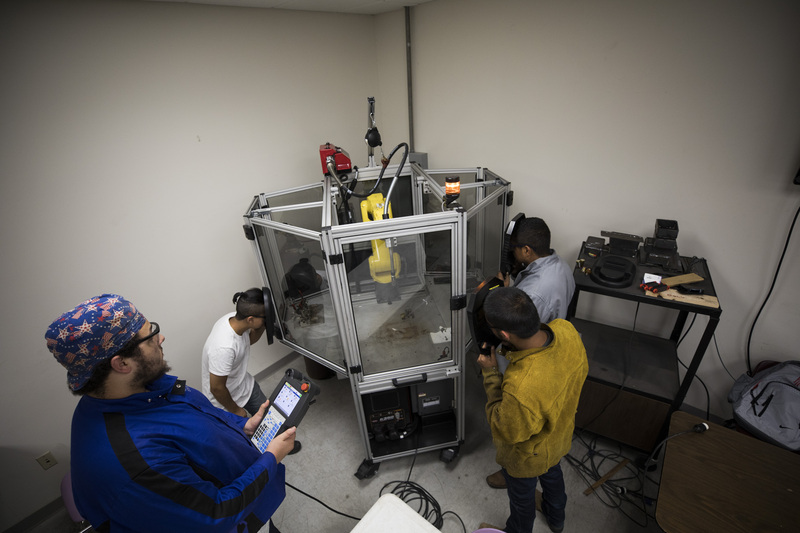 The myriad skills sets needed to fully operate all aspects of a modern manufacturing plant means those employers look to colleges and communities to develop a workforce with wide-ranging abilities. The observation of Manufacturer’s Day illustrates the need to develop well-managed technical programs that meet the needs of a rapidly changing economy. One hope is that the event encourages high school students into Pathways programs. It’s widely recognized that southwest Kansas experiences a “brain drain” of students leaving the area for larger metro areas to be trained and educated – only to never return and advance business and industry in our area. Knight and Ausmus agree that the area needs to transition from watching our students move away for their education and hoping they return, to expanding students’ education opportunities right here, while also encouraging relevant, rewarding job opportunities that exist here. Knight said the area is poised to be able to retain students and well-trained workers. Efforts are already underway to expand medical education opportunities through the proposed University Center. Knight and her organization are working to see the facility utilized for even broader courses. Students on the tour will hear from plant managers and operators, as well as Ausmus and DC3 President Harold Nolte during lunch at the Student Activity Center. Other manufacturing leaders will make presentations to students on campus throughout the month as well. A labor force with advanced manufacturing skills and business acumen makes the area far more attractive to a business looking to locate here, and facilitates the expansion of current manufacturers. According to the City, for every dollar spent in manufacturing, another $1.89 is added to the economy – the highest multiplier of any economic sector. There are nearly 6,200 jobs with an average wage of $56,659 in the manufacturing sector in our community, according to the City.